The Christie NHS Foundation Trust is located in Withington, South Manchester, and is one of the largest cancer treatment centres in Europe. 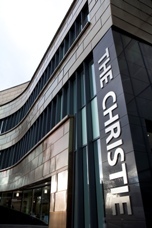 The Christie became a NHS Foundation Trust in April 2007 and is also an international leader in cancer research and development. The Christie provides services including specialist surgery, chemotherapy, radiotherapy, brachytherapy, palliative and supportive care and endocrinology. It has one of the largest radiotherapy departments in the world, with over 80,000 radiotherapy treatments a year, the largest chemotherapy unit in the UK and is home to the largest single site early phase clinical trials unit in the world. 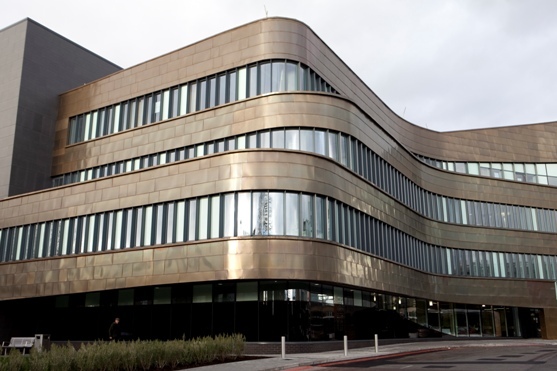 The Christie is an international expert centre for radiation oncology including brachytherapy. The brachytherapy department has established a significant clinical practice and research expertise in a broad range of body sites and techniques in skin, gynaecological, prostate and lung cancers. The centre has impressive brachytherapy facilities and a dedicated brachytherapy team of eight radiation oncologists, three physicists and four specialist radiographers. Around 500 patients receive brachytherapy treatment a year. The centre is equipped for HDR image-based treatment, MR guided PDR treatment in dedicated state of the art facilities and is recognised as an expert centre in the region. The Christie aims to deliver top quality education and training within the institute. The Christie School of Oncology brings together professional education, pre-registration educational training and learning, and development activities at The Christie into one academic structure. All educational events offered by The Christie School of Oncology are of the highest quality. The School is connected with and supported by some of the UK’s leading experts in cancer care, treatment and services. The Christie has impressive facilities for the organisation of educational meetings and conferences in its education centre. Together with Elekta, the brachytherapy department will develop a clinical workshop about brachytherapy for skin cancer, to take place in The Christie’s education centre in January 2015. The workshop will cover clinical and implementation aspects and give a hands-on impression of the planning and delivery methods of HDR as well as electronic brachytherapy for skin cancer.